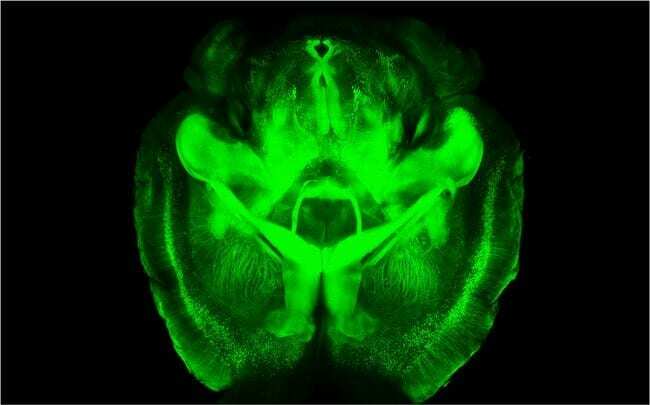 Scientists at Stanford Universityreported on Wednesday that they have made a whole mouse brain, and part of a human brain, transparent so that networks of neurons that receive and send information can be highlighted in stunning color and viewed in all their three-dimensional complexity without slicing up the organ. Even more important, experts say, is that unlike earlier methods for making the tissue of brains and other organs transparent, the new process, called Clarity by its inventors, preserves the biochemistry of the brain so well that researchers can test it over and over again with chemicals that highlight specific structures and provide clues to past activity. The researchers say this process may help uncover the physical underpinnings of devastating mental disorders likeschizophrenia, autism, post-traumatic stress disorder and others.